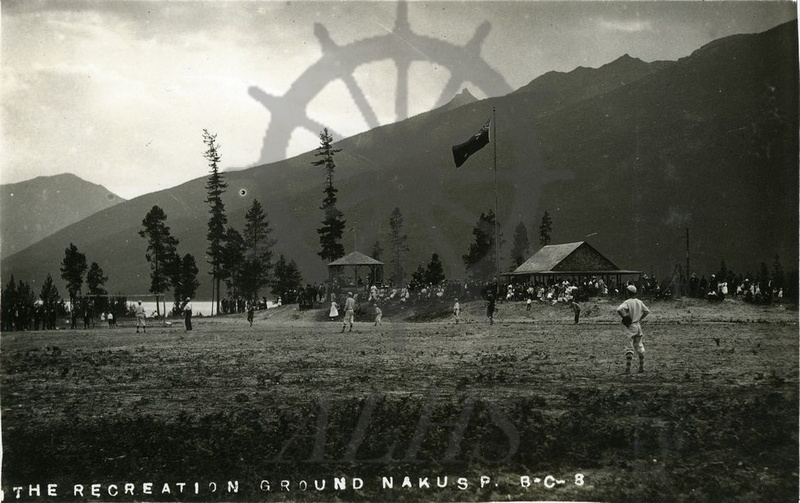 Postcard, baseball game at Nakusp Recreation Park, Nakusp, ca. 1910s. Saddle Mountain in background.